Posted on February 25, 2015 by Culture24 | Comments Off on We’re moving to a new website! Thank you for reading the Museums at Night blog since I started it back in 2009. Six years on, the festival has grown far bigger than I ever imagined, and it’s time for a new, more visually exciting website which is easy to read on all devices, and which has all the information about the festival in one place. 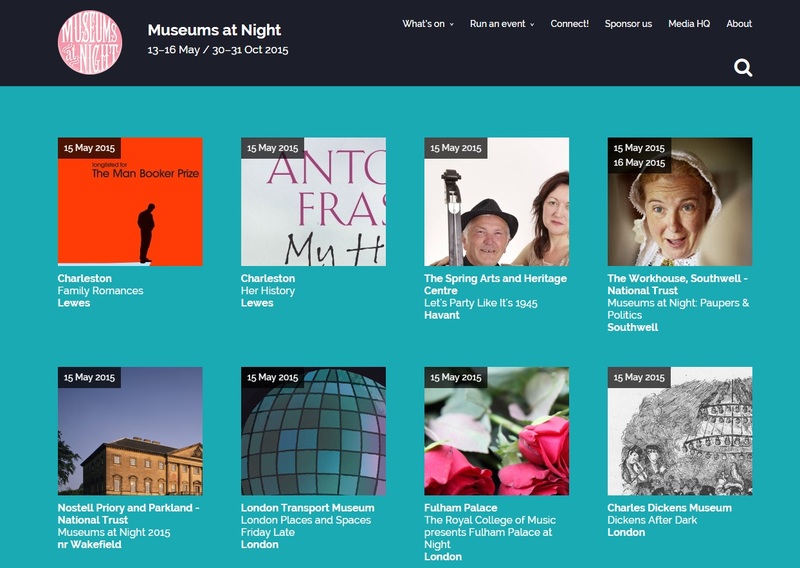 This blog will stay here as an archive of the festival’s history, but we are now moving to an exciting new festival website at www.museumsatnight.org.uk. Come over and take a look! Please update your links! We look forward to working with you in future. This entry was posted in Uncategorized and tagged Behind the Scenes, Culture24, Museums at Night 2015. Bookmark the permalink.